Grab Your TextDeliver Account Now! Text Deliver has brought SMS marketing within the reach of regular Internet Marketers, now being able to access what big companies were only able to capitalize on prior. The deliverability and user engagement seen from SMS marketing still amazes me. Great job! Sometimes you want to make sure people receive a text message reminder, like when you have a webinar running, or maybe you want to text something important like a 24 hour special. 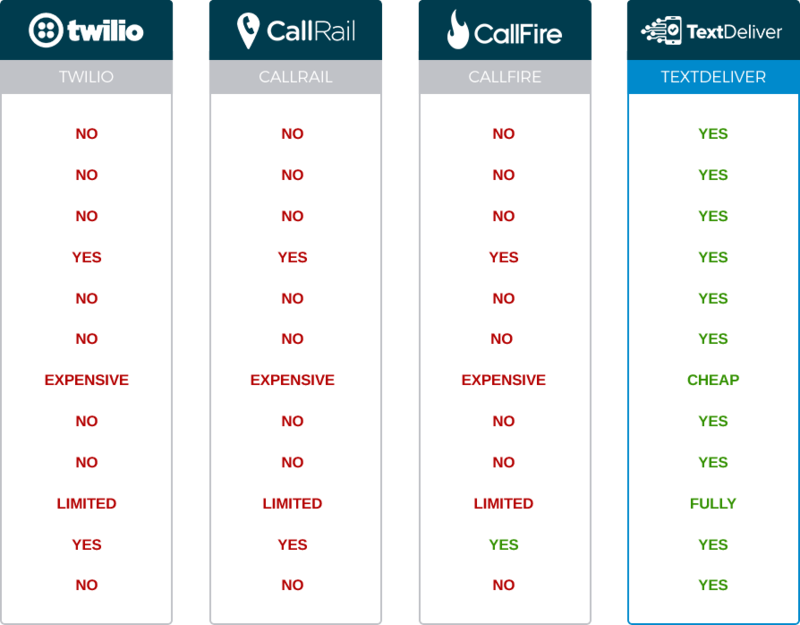 That's where Text Deliver comes in and what makes me so excited about this product. Subscribers Cheaper, Easier, Faster and More Effectively! real eyes on your offers REAL fast. 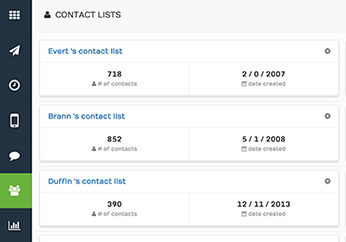 Now you are able to create and add custom fields to your Opt-in forms, allowing to capture additional information about each subscriber - building a complete contact profile. Want to send a Happy Birthday wishes? or send an appointment reminder? Now you can setup automated "Reminders" based on a custom field you specify. Want to add your subscriber to your SMS list, email list, and register them for a webinar at the same time? Now you can! 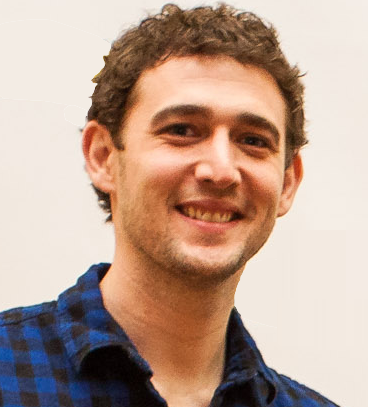 Make it easy for easy follow up communication and generating more webinar attendees. We understand marketers use lots of different 3rd party services to power their business. Which is why we now integrate with Zapier - allow you to pass any data collected in TextDeliver to the over 500+ integrate partners that Zapier connects to. Using our API documentation, you can register a subscriber to TextDeliver or pass customer data from TextDeliver to any 3rd party service/platform using our API. Ready to See These Features in Action? 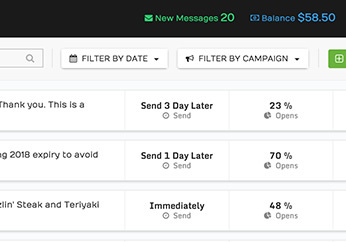 Manage Each Subscriber like an Email Inbox! 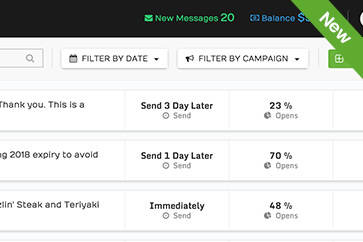 Whether you are running a subscriber list of 100, or managing lists of hundreds of thousands, Text Deliver will deliver your messages smoothly every time. 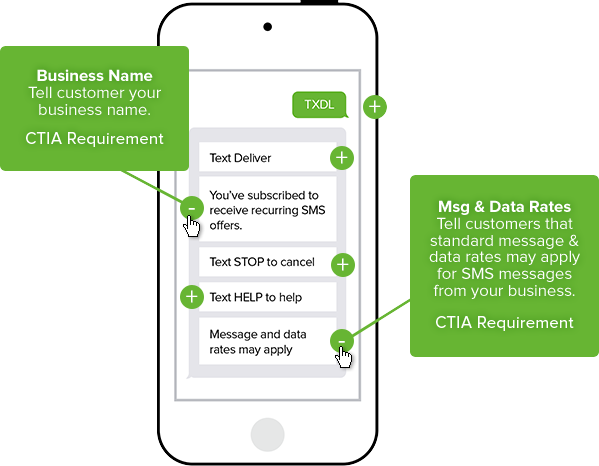 We have gone through great lengths to ensure that the TextDeliver platform complies with the TvPCA and CTIA regulations to help keep you and your business safe. Append "Msg & Data Rates May Apply" message upon signup. Maintain a DNC (Do Not Call/Do Not Message) lists. Step by step videos for each part of simple set up process, as well as useful insider tips to make the most of your SMS marketing campaigns. Written, searchable database of common questions to help you get started faster and easier. And if all of that fails, our friendly team are there to assist you and work with you until everything is working just the way you want it to! 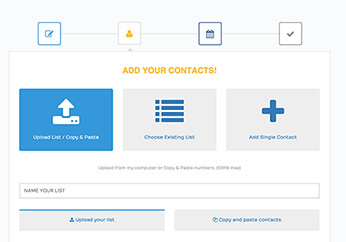 Use our drag and drop form building tool, you can build your responsive mobile list as it was to capture emails in the ‘old fashioned’ way. 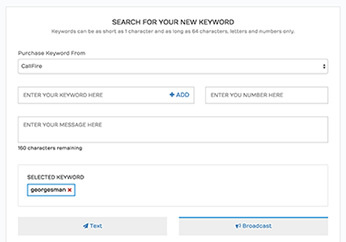 To make it “point and click” simple for you to build your own phone number list, we’ve integrated Text Deliver with industry leaders such as Twillo, CallRail and so you don’t need to worry about fussing with extra ‘bits’. With more than 10 years experience developing software, we know how important customer support is. Our team is ready to guide you through every part, from set up to send, to help you gain this mobile advantage easier, faster and better – now. Send your messages with confidence, using our state-of-the-art failsafe app with compliancy already built in to the app, as well as step by step best practices training and documentation. 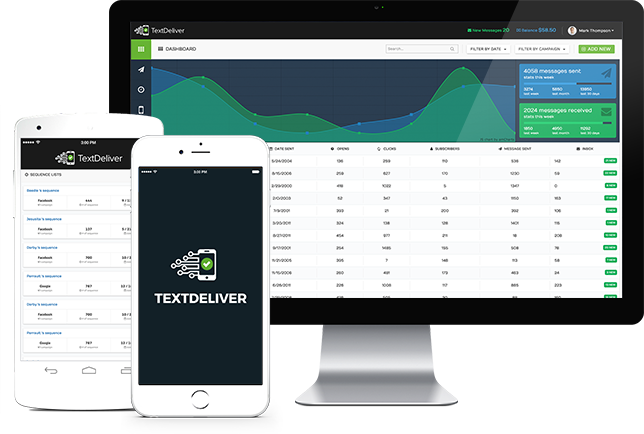 Grab Your TextDeliver Account Today! Open Rates and Hyper-Engagement with Your Audience! 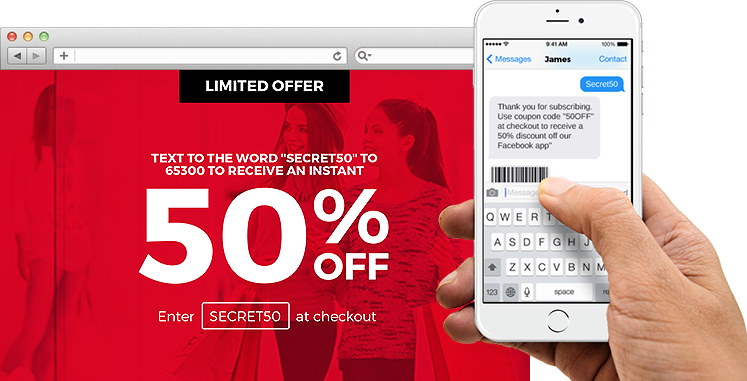 For whatever reason during the first 30 days, if you are not 100% satisfied with the TextDeliver, simply contact our support desk and we will quickly refund your purchase. Compared to around 22% with email, SMS messages get around a whooping 98% opened rate, which means you can get more eyes on your marketing messages. TextDeliver does not charge any additional fees for sending. We provide various integrations with 3rd party services that offer various plans based on your sending requirements. Plans are extremely affordable, as low as $0.0075 per message. Unfortunately not at this time. To comply with TCPA, a subscriber MUST manually approve the right for you to send SMS messages to them. We are looking into opening up manual imports in the near future, as long as you provide IP and Signup URL data for each subscriber. Yes, every subscriber will have the ability to reply back with "STOP", which will add them to a Do No Contact list so you don't have to worry about sending to subscribers who have asked to stop receiving your messages. Yes, we have gone to great lengths to ensure TextDeliver is TCPA compliant, by providing not only fail-safes inside the app itself, but also providing best practices documents to ensure your mobile marketing efforts comply with the law. 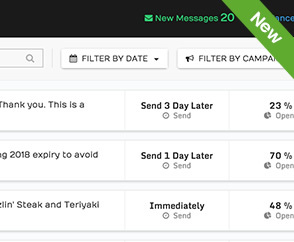 TextDeliver is a web application, which means it can be accessed by any computer or device with an internet connection and web browser. Of course not, however we are running a limited time promotion currently, which means we have discounted our plans significantly. We reserve the right to increase these plans after the initial charter period is over. 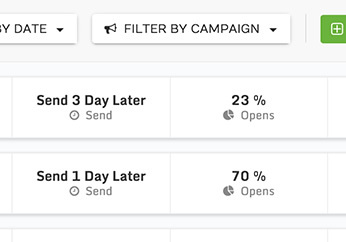 “The ability to segment your lists, just like you would with any autoresponder, but with the added benefits of huge deliverability increases and shorter response times is awesome! The future of business and marketing is in mobile for sure." "Getting your message out to people is the KEY to success in any marketing for ANY business. Text Deliver makes it easy. Incredible delivery, open and action rates that make all other methods look out of date. Love it!"